Great news! We've made some exciting updates. Now you can customize your Collect tools to show off your brand. Under the new 'Customize Program' tab, you can update your logo and choose a theme color, to keep your marketing in-line with your branding. 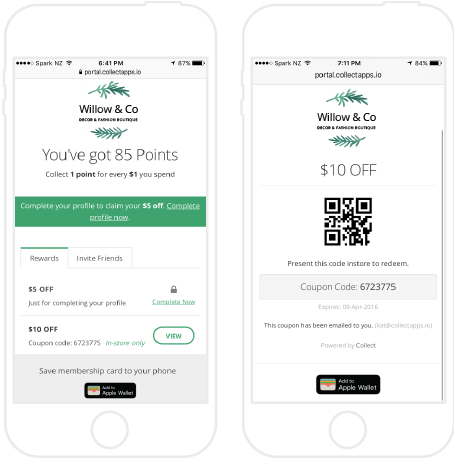 It won't change how your staff sign new customers up in-store, but it will put your branding front and center on all of your customer facing communications, including your online widgets, customer sign-up process, emails, reward/offer coupons and if you use Collect Loyalty, your customer portal. Along with this nifty customization, we’ve made updates to improve your customers’ experience. The new design is super easy for customers to understand and use. 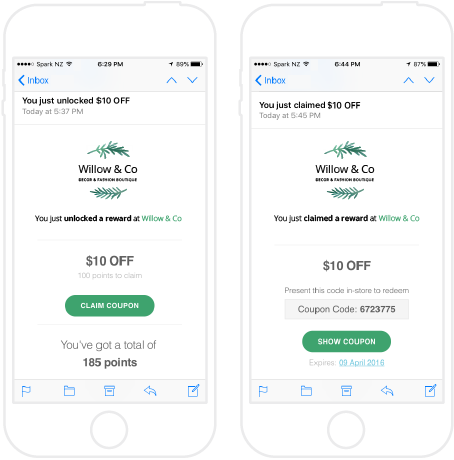 Emails have clear messaging to encourage customers to complete their profile, earn and claim loyalty rewards and redeem rewards/offers coupons. 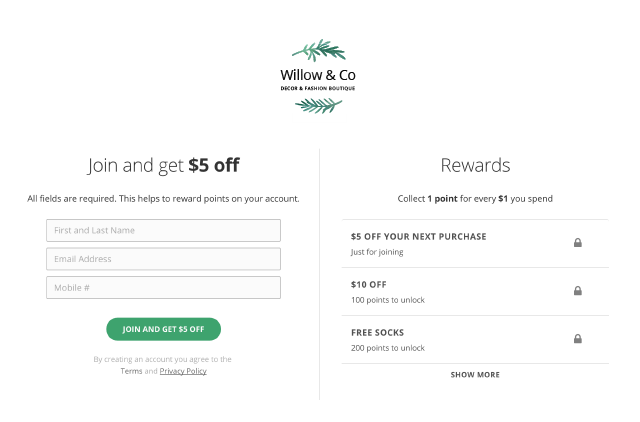 When customers sign-up to your loyalty program through your website widget or sign-up kiosk they will now be able to see your loyalty rewards that they can earn, which allows them to see the immediate value in joining your loyalty program. Your Collect Loyalty customer portal has also changed to have the same look and feel as your emails. Your customers’ loyalty points balance, claimed rewards and locked rewards are now more clear to your customers making it easy to use and redeem rewards. 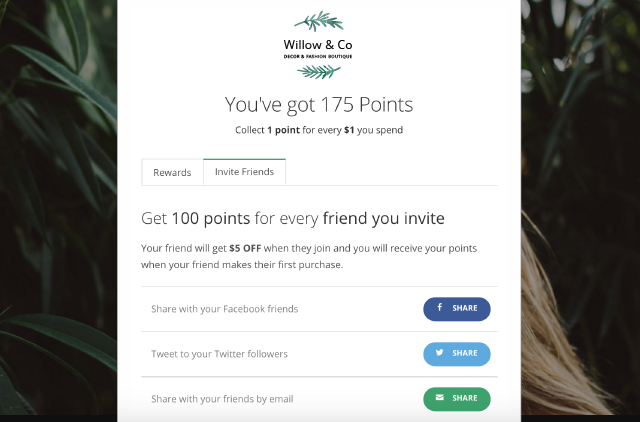 The customer portal’s friend referral section has changed too, share buttons allow customers to easily share your loyalty program with friends with one click. Customization and improved usability will help you 'Wow' your customers and increase your loyalty program engagement. Check out all the new designs to get your brand front and center and help create an amazing customer experience. That’s not all, our team are working on some more exciting customization ability, all coming soon, so watch this space. We love getting customer feedback. So please continue to let us know any ideas that you have and help us develop a great customer experience for you and your customers.